High Quality Soap Making Supplies, by Soapers for Soapers. Don't forget to check out our Facebook group!! "Soap is to the Body as Laughter is to the Soul." Welcome customers, old and new. From the same creative mind that brought you Herbal Soaps by Rae Jean, we are proud to present SoapersSupplies.com. As always, we are dedicated to offering quality products at competitive prices, and personalized customer care. We pride ourselves in knowing that our customers receive a high-end, shopping experience with each and every visit. We understand the passion behind the craft! We know how much fun it can be to shop in the best store. As soapers and formulators we appreciate that you chose our store to find the perfect ingredients to help your business or hobby succeed! We are always available for questions or to address any concerns. We value you and your opinions, and invite you to indulge in our little store. We offer tutorial classes in product-making and sell the necessary kits for each of them. We also hope you enjoy our fun and educational Blog, located on site. So... Happy Soaping to all! 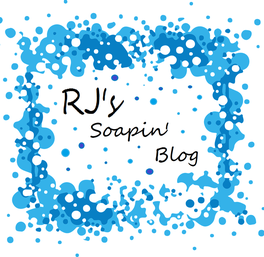 Check out RJ's Soapin' Blog for Soap and skincare- related articles, recipes, giveaways and more! Click the picture to visit and enjoy! Create the Soaper's Supplies Face Oil Serum, for radiant, more youthful-looking skin! When I visit the department and drug stores lately, it seems that oil-based, facial serums are everywhere! The funny thing about these luxurious oils that promise to reduce the signs of aging and create healthier-looking, glowing skin, is that many of them are a simple combination of very cheap oils in great packaging! There are a few, department store brands that do offer higher quality oils with the price tag to match. Once I read the ingredient deck, I realized I could make most of these myself. I could increase the beneficial oils, cut out the fillers/synthetics, and add a special oil or ingredient to give it the label-appeal needed to attract a more upscale market or clientele. The last part is important if you are selling this serum and want your customers to pay the higher (and well deserved) price. Before you invest in the high-end oils that make this serum effective, I suggest you do your research and know which oils are which and exactly what they do. I personally opt for fast absorbing oils, instead of heavyweight types like Olive, Sweet Almond, Avocado, etc... Not to say that you cannot use some Avocado oil in a version of this serum, especially during the dry winter months. You need to know how much to add and how to balance more protective oils with the drier oils. No one wants to walk around with an oil slick on their face! Next, be sure to research the Comedogenic Scale. This scale is not an absolute black and white set of rules. It all depends on the amounts of oils you use and the customer's skin-type. If you know you want to include an oil that rates in the middle of the scale, it should have some renowned skin-loving properties, and we should use it sparingly. As a rule, I use oils that rate 0 out of the total number 5 (Zero, refers to no noted irritations, and the numbers increase up to Five, which is the worst or most likely to cause acne, clogged pores and skin sensitivities). For instance, Coconut Oil rates a 4 out of five (5) on the Comedogenic Scale, meaning it is very likely to cause acne and/or clog pores in those who are sensitive to it. Many people have no problems with raw coconut oil. I personally do, and therefore, never formulate with it. Soap of course is the exception to this because the oil saponifies into a salt (soap) when combined with the base, changing its chemical makeup. Now we know we want to use great oils that have low probability to cause skin irritation. What about shelf-life? Even though we will add the recommended amount of anti-oxidant (I personally, like Soaper's Supplies Vitamin E mixed Tocopherols), you should ideally choose oils that do not have short shelf-lives. This would mean excluding Grapeseed Oil, Hempseed oil, Flaxseed oil and several others that notoriously go rancid in under six months. If you are going to use an oil with a shorter shelf-life, try to use only one, and to use it sparingly. It also should be an oil that contributes something to the overall formula. Before you dive into the Soaper's Supplies incredible assortment of luxury Carrier Oils, consider what you will charge for your serum. If you have $20 dollars of oils in a one oz container, you should be sure you are making this money back in your profits. One way to help sell this product is to use more upscale-looking packaging and labeling. Charging $30 for an ounce or two of high quality oils is much easier if you have superior packaging and labeling. Highlighting a star ingredient is another way to sell this product. If you include the sophisticated Soaper's Supplies Olive Squalane, then you should highlight this on the packaging and on the website. Advertising is important once you start to formulate products that transition you over from one market to to another. This is something that can you can do on your website, or through the social media sites. This is something to consider once you introduce more and more upscale products into your line. You will be using finer ingredients and packaging so you will really want to sell your products in as large of a market as possible. So exactly how do we decide which fabulous Soaper's Supplies oils to use in this luxurious product? The answer is up to you. I like to start with a good base oil. Soaper's Supplies Meadowfoam seed oil is fantastic for the skin, has a super-long shelf life, and absorbs rather quickly. It has great label-appeal and offers many skin-loving benefits to all skin types. Sometimes I use Soaper's Supplies High Oleic acid Sunflower Oil. This oil is a bit heavier than most of the other oils in the serum but since it is the only "heavy" one in this serum, it balances out with the dry oils and lends some well known, beneficial properties to the skin. Soaper's Supplies Olive Squalane is a light, silky, fast absorbing oil that is renowned in anti-aging products. It is considered to be very chic. When advertised properly, it should get your product more than a second glance. How much you use is entirely up to you, but this is where you decide your market, your target market, and your long term goals. It is very dry and helps the other oils to absorb. This is a staple in my anti-aging formulas, especially this eye and face serum. I personally use more of this ingredient than some of the other oils. How many oils should you include? Once again this is entirely up to you. You can always add and improve upon your formula once you start to increase your profit margin. Some companies actually use two or three oils. Others have one very expensive Essential Oil cut with a less expensive carrier oil. You can test these carrier oils on your own face and see which combination you like best. I personally love Soaper's Supplies Marula Oil. It is becoming very popular in mainstream cosmetics and would look very appealing on your label. Being a more upscale oil, you may want to use only five to ten percent or you may decide to use a higher percentage. This depends on your preference. Another oil I absolutely love in this serum is Soaper's Supplies Oat Kernel Oil. This is a light oil that glides on like liquid glass! It absorbs quickly and is full of the desirable Oat properties that help retain moisture and aide in lessening the appearance of wrinkles. Remember, you want a product that is going to have repeat, loyal customers who cannot live without it! What other oils would work well in this serum? I also include Soaper's Supplies Perilla Seed Oil (a must-have favorite for me!) and Rosehip seed oil. All of the seed oils have unbelievable skin benefits. I also highly recommend using Soaper's Supplies Cucumber seed oil in your formula. It is light with a silky glide and absorbs quickly. Cucumbers, including their extracts and oils are always associated with benefiting the skin around the eyes. I always include some of this oil in this rejuvenating serum. I am also careful to include Soaper's Supplies Tamanu oil which has a long list of well-known, skin applications and benefits. I do use the Tamanu at a lesser percentage because it makes my eyes tear up when it is too concentrated, but its benefits are too great to omit from the formula. There are luxurious oils like Soaper's Supplies Macadamia nut oil and Pumpkin seed oil that would really add some flare to your product. If you love the nutrient-rich, Camellia seed oil (a favorite ingredient in Japanese skincare), then you should consider including it as well. It has well known skin benefits that go back for centuries. Soaper's Supplies Argan oil is sleek and fast absorbing. It is very popular right now in commercial products due to its anti-aging properties and overall feel. Most commercial products are currently boasting this upscale ingredient. You may want to include some Essential Plant oils in your serum. 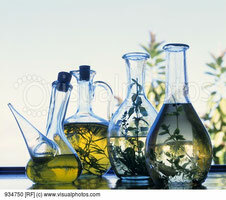 Consider the oils of which you know to have great attributes, and use them at a total of one percent in your face serum. I personally love Carrot Seed Essential oil in this face oil. This oil is renowned in anti-aging products for its ability to lessen the appearance of wrinkles and promote more youthful-looking skin. There are others you can include. Remember they should total one percent of the total serum weight. Decide which carrier oils you love on your face by themselves. Then consider the price for which you can sell the finished product, and the profit you hope to get. This may help you decide which oils are best to invest into this serum. After all, this is a type of investment. All your creations are investments of your time, money and energy. You need to package and market them accordingly so you can increase your profit margin and overall market share. So you have your oil choices and percentages decided. You also have your antioxidant included. (Calculate .5% antioxidant). All that is left is some gorgeous Soaper's Supplies packaging. You can find some beautiful bottles and containers at Soaper's Supplies, either here on the website, or on the Facebook Group selling page. I highly urge businesses to invest in their packaging and marketing, just as they do their ingredients and testing. It can help transition your product line from one market, to another, that is more upscale and chic. Once you have made your formula and picked your bottles, simply remember to instruct your customers to use one drop here and there on face, and around eyes at night and in morning, as needed. I have been using my own version of these oils for a few months now and have had no acne flare-ups. I LOVE the way my face looks now. My makeup wears better, although I hardly need to apply it lately. This is a great product that I hope you all enjoy. Thank you for reading RJ's Skincare Blog and for shopping at Soaper's Supplies. We value your ideas and input so please leave your comments or questions below. If you have an idea for an upcoming blog-post, we would love to hear from you. Let us know what you think, and thank you again for your support! RJ's Skincare Blog and included recipes are researched and written by Angela D'Amico. SOAPER'S SUPPLIES BRAZILIAN CLAY! Different Colors- Different benefits for the skin! What is Hot is Soap colorants right now? It's bright, vibrant, Brazilian Clay! From red to purple, white and green.. and every color in between.. Brazilian clay offers a gorgeous color pallet for soap makers. But, what about other applications? Into what other things can we incorporate these gorgeous clays? I love face masks.. so if we were making face masks for ourselves or our customers, what benefits would we obtain.. -and from which colors? I highly suggest reading the blog post on clay and face masks published on 11/21/2016. https://www.soaperssupplies.com/2016/11/21/let-your-beauty-shine-through-use-soaper-s-supplies-ingredients-to-make-specialized-skin-masks-for-every-skin-type/ In that blog we discussed different face masks for different skin types. The clay choices can be substituted for some Brazilian Clay options once you learn which one is best for your specific skin type. WELCOME TO BEAUTIFUL, VERSATILE, BRAZILIAN CLAY! Brazilian Clay comes in an array of colors and applications. We know these clay colors are fantastic in soap-making because of their bright pigment, but some colors are known to be better for specific cosmetic applications when applied topically. In a moment we will discuss the different colors and their renowned skincare qualities. They can be packaged dry for selling, with instructions to mix with distilled water, hydrosols, aloe juice, honey or yogurt. You can also mix dry honey, yogurt or aloe with these clays so they are ready to go for the skin type to which you are marketing. Remember, the addition of Colloidal Oats will add a soothing, moisturizing touch to any clay mask. The oats are cleansing yet have humectant properties so they take some of the "sting" out of the stronger clay types. Some clay colors are known for their gentleness while others are famous for ultimate oil absorption. Just as some clay colors are very gentle and soothing, some are popular in toning masks as they help tighten skin and give a more firmed appearance to skin. Please refer to blog post dated 11/21/2016 for proper packaging instructions (if intending to sell) and recipe ideas. Brazilian WHITE Clay is rich in Silicon and has a high affinity to water, making it great in water-based formulations due to its stabilizing properties. It also gives the product a smoother feel. Brazilian RED clay gets its color from high iron content. It is an excellent ingredient in toning masks or wraps. Red Brazilian clay and Dark Red Brazilian clay are credited with giving skin a more toned appearance with greater elasticity. Brazilian Brown Clay is full of vitamins and minerals like Copper and Selenium. This is where it gets its rich color. 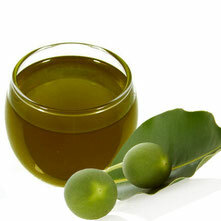 It is very good in skin cleansing products because of its strong ability to absorb oils. Brazilian Purple Clay is rich in magnesium and is a natural pigment. It is considered to be a staple in anti-aging products and is a gorgeous addition to handmade soap. Brazilian Black Clay is high in natural Titanium and popular for its oil absorbing qualities in skin and hair products, as well as for its rich color in handmade soaps. Can be used in emulsions as a thickening aide. Brazilian Pink Clay is much gentler than the other Brazilian clays. It is very soft in texture and has a pH similar to that of the skin. This clay is very popular in products for sensitive skin types. Brazilian Clay's popularity is ever-growing. It can be used in a wide assortment of applications including skin and hair masks. It can be used for soap colorant, in oil absorbing products, facial toning products and even moisture masks, -yes, moisture! Each color is renowned for a different skin-loving property! We hope you have enjoyed this installment of RJ's Skincare Blog. Thank you for shopping at Soaper's Supplies and please leave your comments or questions below. RJ's Skincare blog and all included recipes are researched and written by Angela D'Amico. SOAPER'S SUPPLIES MAKE "SCENTS" IN YOUR LIFE! ...PERFUMES, AIR FRESHENERS, BODY SPRAYS, -OH MY! There is nothing that connects to our memories more strongly than scent. Smells, aromas, fragrance... they can evoke powerful emotions and are a very important part of our lives. Whether it be a warm vanilla or sweet, fruit scent reminiscent of pies cooling on Grandma's windowsill, or a sunny, floral bouquet spreading Springtime year-round, fragrances are a connection to our memories and our hearts. We love the Soaper's Supplies scents in our soaps, lotions, body butters and balms... We have even used RJ's Luxurious Lip Balm Base as a Solid Perfume and Cuticle Balm, so we have experimented with many lovely Soaper's Supplies Essential and Fragrance Oils in these products. So what's left to talk about? *Click on the links above to connect directly to the blog installments for "solid perfumes" and "cuticle balm", as well as each ingredient in our store.. Wait a minute! I can make air freshener! Why on earth did I not think of this before? Oh, what kind should I make....? Should I practice my Essential Oil blending skills? 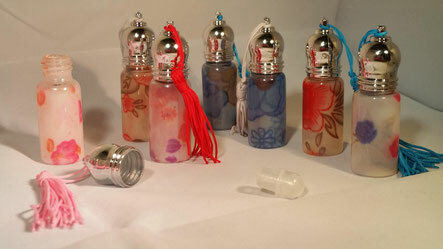 What about my Fragrance Oils? I know! Soaper's Supplies Blast of Blueberry! Yum! This is so easy to make and not being a cosmetic, you do not have to heat the water. I took an 8 oz spray bottle to make my "Blast of Blueberry" scented Air Freshener. In a separate mixing bowl/container, I added my Fragrance oil (or your Essential Oil blend) to Polysorbate 20. I used one part Scent oils to two parts Poly 20. If you use 2% EO's or FO's then you should add them to 4% Poly 20 and mix thoroughly. Now blend the oil mixture into your distilled water. You can use a floral water or hydrosol here for a more delightfully, layered scent. You will need a preservative. Since this is an "air spray" we should not use Liquid Germall Plus as it is contraindicated for aerosol products. Germaben II, or any other broad spectrum preservative can be used. You can make this without Polysorbate 20 but you will have to shake it prior to every use, as the scent oils will float on top. You will still need a preservative because it is a water-containing product. Some people choose to use Fractionated Coconut Oil instead of water. You do not need a preservative or Poly 20 if you use only FCO and Scent oils. Using an oil, however, is not always desirable as an air freshener because of greasiness or possible fabric staining. Fractionated Coconut Oil and Scent oils can be used for a personal perfume spray if the scent oils are less than 1% of the total weight as not to cause irritation. How Else Can We Use Soaper's Supplies Scent Oils To Customize Our Homes? How many of you have heard of that bathroom spray that is used "prior" to utilizing the potty? There are a few commercial brands that boast odor blocking-power when sprayed into the toilet before "going". Well.. it does actually work.. and, it is very simple to make! A layer of oil coats the clean water in your toilet bowl, creating an odor barrier. Fractionated Coconut oil works great for this. Now pick the scent of your choice! Put the finished mixture in a small spray bottle and keep it near the potty. Two ingredients.. It's that easy! Have you sampled the Soaper's Supplies Floral Waxes? They smell AMAZING.. and you do not have to do much more than unwrap them, to get that great smell all over most of the house! I love the Violet, Rose and Mimosa.. actually.. I love them ALL! .. And if you feel creative, you can melt some floral wax gently in a double boiler or heat safe bowl in a water bath, and combine multiple waxes... Then pour into a pretty mold and put on display! -A pretty and efficient aromatic piece. This would also be ideal in a clothing drawer or closet. Have you tried Soaper's Supplies Incense sticks yet? YOU DIDN'T KNOW? By using Scent Oils and Soaper's Supplies Unscented Incense Sticks , you can make beautiful, artisan aromatic blends for use in your own home, or to sell along side your soaps, lotions and scrubs. Follow the Soaper's Supplies directions for these easy-to-make, designer scent-sticks. What other ways can we make our homes smell divine? Whether you have mastered the perfect Rosemary and Lavender blend, or Orange and Cinnamon concoction, Soaper's Supplies Essential Oils will meet all your Aromatherapy needs. If you crave the designer scents similar to famous names, know Soaper's Supplies has many of those exotic scents as well! Soaper's Supplies has a huge selection of potent Fragrance Oils that can be used in place of, or combined safely with, our Essential Oils. Sometimes, I choose Soaper's Supplies Avobath scent or Sweet Pea scent oil, and put a few drops on a tissue or paper towel at the bottom of my waste basket. Other times, I will put a blend of Grapefruit and Lemon Essential Oils (just a couple drops each) in my kitchen sink drain for an occasional, sunny, fresh burst of scent. Try a drop or two inside your bath tissue roll for an always, freshly scented powder-room. One or two drops of your favorite oil on a used drier sheet under your car's seats will bring comforting scents wherever you travel. Care should always be used near fire or flame but if you follow the basic usage guidelines, your imaginative fragrance ideas can be almost limitless! There are so many ways to customize the aromas in your house to create your vision of home. Soaper's Supplies Scents always make sense. We appreciate your business here at Soaper's Supplies. Thank you again for your support and for reading RJ's Skincare Blog. We value your opinion, so please leave your comments, concerns, or questions below. We hope you have enjoyed this installment and look forward to your comments. Let us know what you would like to read about next. I have considered hair masks, moisturizing body sprays as well as face toners.. What would You like to make next? Welcome to Part Two of the Soaper's Supplies Hand Renewal System! If you read our last installment you learned how a well-made scrub can exfoliate dull, dry surface skin, revealing softer, silkier, more youthful-looking hands that just seem to glow! That blog installment can be found easily on this link: RJ's Hand Renewing Scrub! Not only does the Soaper's Supplies Renewing Hand Scrub soften the hands and cuticles with conditioning oils and moisturizing humectants, but it prepares the skin for the ultimate treatment, -Soaper's Supplies Renewing Hand and Cuticle Balm! A great hand and cuticle balm should include extra-soothing oils and butters to soften dry knuckles and any rough, cracked skin, damaged from life's chores and everyday wear and tear. Soaper's Supplies offers a vast assortment of scrumptiously-scented, and much sought-after butters that would be a fantastic addition to a cuticle/hand balm. Along with these luxurious butters, Soaper's Supplies includes an incredible list of exotic and sophisticated Carrier oils, each renowned for their individual, skin-loving properties. You can combine these butters, oils and Soaper's Supplies assorted waxes to create a balm of your own design... OR.. you can indulge in yet ANOTHER FANTASTIC USE for the Soaper's Supplies Luxurious Lip Balm Base! Rich in the finest butters and oils, Soaper's Supplies has created an easy solution for your dry hands and cuticles, -and for those of your customers. RJ's Luxurious Lip Balm Base is the perfect product to add to your Renewing Hand Scrub! RJ's Luxurious Lip Balm Base is rich in emollient oils like Meadowfoam seed oil, Oat Kernel oil, Perilla and more! There is also a vegan version of this sophisticated balm. This is such an easy add-on to your line if you are in need of something new, with upscale ingredients. These will dress-up any label, as these are not your "every-day" oils and butters, ..and yet, this is a quick and affordable solution to a lull in sales. It its a great product with so many applications! (See Blog post 7/23/2016 Rae Jean's Luxurious Lip Balm Base. One Product, Endless Possibilities) https://www.soaperssupplies.com/2016/07/23/rae-jean-s-luxurious-lip-balm-base-one-product-endless-possibilities/. We have done the work for you! Just add your favorite Soaper's Supplies Fragrance Oil or Essential Oil Blend, and you have made the perfect, conditioning balm for both you and your customers. This is the perfect addition to the scrub and will really add to your beauty-line. It is the ideal package-set and all you have to do is melt, scent and pour into your choice of size, Soaper's Supplies Containers. A gift set is always a great asset to any artisan beauty business. Soaper's Supplies Hand Renewal System has combined a moisturizing, exfoliating Scrub, that possesses a lotion-like, after-feel, with an easy-to-make Hand & Cuticle Balm. Choose a set of containers you feel are right for you. Soaper's Supplies has a vast assortment of containers from which to choose. For a nail and hand balm, I would consider any size from .5 oz to 2oz, depending on the look you are trying to achieve. Above is a direct link to perfect Cuticle/Hand Balm Containers, with an assortment of ideal sizes and styles. I personally love the perfect size of the lip balm style tubes for this project. They fit the size of the nails and can be used on knuckles and rough spots without a messy after-feel. If you opt to make your own hand and nail balm you can find every ingredient necessary right in the Soaper's Supplies Store. A basic formula would consist of approximately 33% hard butter, 33% liquid oil, 33% wax and 1% Vitamin E Anitioxidant (to prevent rancidity of oils). * Beeswax 33% (Vegan version would use Candelilla wax at approximately 16-17%. * Vitamin E Antioxidant 1% at cool down. * Any Fragrance Oil or Essential Oil 1% at cool down. I personally like the combination of those oils but we encourage you to have fun with this anhydrous balm and make it your own! Click on the links above to find these oils in the Soaper's Supplies store! If you are working with heavier oils, use a drier butter like Mango, Kokem or Sal seed butter. I personally love the hard texture of Sal Butter. It is great in applications like these, and works best when combined with softer butters or quick melting butters, like Cocoa Butter, or the super-sophisticated, Cupuacu Butter. My personal butter choice is a combination of Sal seed butter 15% and Cupuacu butter 18%. I personally like the addition of Cetyl Alcohol to my nail balm due to the luxurious feel it leaves on the skin. I use approximately 5% Soaper's Supplies Cetyl Alcohol in place of 5% of some of my wax. So my Beeswax would be 28% if I use Cetyl. You can play with your hand/nail balm once you get a basic recipe down that you like. It is all about personalizing it to make it your own! For a softer balm, consider reducing waxes by 10% and upping liquid oils by 10%. Do not forget to add 1% Vitamin E Antioxidant to keep you creation from going rancid. Melt your waxes first in a double boiler or heat-safe bowl, inside a hot water bath on the stove. Then, melt your butters into the waxes and your oils should be added last. Heat waxes, butters and oils to 158 degrees. Add your Vitamin E at cool-down and any scent if you are using Fragrance oils or Essential Oils as too high of a temperature will burn off these delicate ingredients. Follow usage guidelines for your Scents. Usually they should total no more than 1% of formula, which you would subtract from another ingredient (I suggest subtracting one percent from one of the oils of choice if using the 1% scent oil. This would mean you are using 32% Liquid oils.) Ideally, you want your final numbers to total 100%. Caution: We have all cheated and used the microwave to dissolve something.. but it is discouraged as the microwave heats unevenly. You should NEVER melt your WAX in the microwave! The heat gets so high you can break the glass turntable beneath! This happens more often than you may think. It is dangerous and also less professional so PLEASE use a double-boiler, or a water-bath on the stove, to melt your ingredients. Consider popping your balms into the freezer after pouring to avoid any grainy issues, as these butters have a high stearic acid content. If using RJ's Luxurious Lip Balm Base, you can simply click the previous link, place your order and follow melting instructions. It is that easy! Any scent can be added at cool-down. 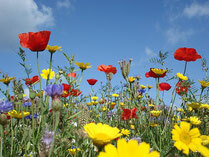 Follow usage guidelines for Fragrance Oils and Essential Oils. Remember to add your Fragrance or Essential oils at cool-down, as not to burn them. Soaper's Supplies has a fantastic list of Scent Choices. Simply click on the links above to find them in the store. RJ's Luxurious Lip Balm Base has been formulated with the most exotic, upscale oils and butters. This is the perfect product to add to your ingredient supply shelf, as it has proved delightful on lips, with long-lasting wear and shine. It also has worked brilliantly as a solid-perfume base, ...and now can be your quick-fix for rough cuticles and dry hands! Whether you design your own cuticle/hand balm or use The Soaper's Supplies Solution to softer hands, you will love this balm! It is the ideal compliment to RJ's Hand Renewal Scrub, making a wonderful gift set. It can increase profits and interest, and serve as the complimenting product in a multi-purpose, unisex gift-set. If you are a seller or a hobbyist this is a fun product to make, especially if you are using the Soaper's Supplies Luxurious Lip Balm Base! Thank you for shopping at Soaper's Supplies. We appreciate your business and loyalty. We hope you have enjoyed this follow-up installment to the Soaper's Supplies Hand Renewal System and look forward to reading your comments on your finished Hand-scrubs and balms! Thank you again for reading RJ's Skincare Blog. We appreciate your continued support and would love to hear from you! Please leave any comments, questions or ideas below, and thank you again for visiting our site. Soaper's Supplies Has Everything You Need To Take Your Caress From Rough And Dry -To Soft And Silky... Condition And Renew the Look And Feel Of Your Hands! We make our soaps, face serums, hair conditioners, and foot balms... but what about our hands? After all the work we put into our other products, (and the inevitable cleanup of our tools after making these products), our hands are actually drier than if we were not doing anything at all! What about the other things we do in life? Preparing dinner, caring for babies, working "real jobs", gardening, the weather and plain ole life? It is no surprise that our hands and nail beds are rough, dry and cracked. So what are some sure-fire products you can make to help your haggard hands.. And the hands of your customers? One of the first things that can smooth the skin on your hands is a scrub! A good hand scrub will exfoliate dry, dead skin cells, revealing the glowing, new skin beneath. A Womans Health.com cites "proper exfoliation removes the barrier of dead skin cells clogging the skin and uncovers fresh new cells below. This opens the way for moisturizing products to penetrate more deeply into the skin, which makes them more effective. In short, a regular exfoliating routine will leave your skin looking fresh and healthy". It also can be scented with lemon or coffee and marketed to your customers as a kitchen product to keep by the sink. The fresh scents of lemon and coffee are renowned in deodorizing pungent aromas like fish and garlic after meal preparation. Rinse away the scrub to reveal silky, soft hands that have been conditioned and moisturized with Soaper's Supplies nourishing oils and soothing humectants. Soaper's Supplies has some ingredient ideas for you, but you can customize any skin scrub by adding the oils and butters that work best for you. This is a versatile product that can be made with simple sugar/salt, butter/oils and an emulsifier. (An emulsifier is great if you want to include humectants and other water-soluble, skin-loving ingredients.) I prefer sugar scrubs as they are a bit less scratchy and do not sting upon application. The sugar also lends its own moisturizing qualities to the scrub. This being a hand scrub (as opposed to a body scrub) will contain a higher oil content to aide in soothing and conditioning. Being for the hands, this scrub can hold more fragrance or essential oils than one designed for the sensitive face area. These are factors that differentiate hand scrubs from those for face or body. We will start with approximately four and a half oz formula that will yield almost double once the sugar is added. You may substitute the Lanolin oil for Perilla or Meadowfoam if you are making a vegan version.. but I highly suggest trying the Lanolin version, as it gives an occlusive, conditioned feel to hands. *Rubbing Alcohol to sanitize your surfaces and tools before starting, and for removal of residual oil/greasy feel on tools during clean-up. *2 large glass or heat safe bowls. One is for melting/heating butters/oils.. The second is for your humectant ingredients. *A double boiler or large pan of water which you can use as a double boiler (water bath) to melt your butters and heat your oils. You will also need to bring the humectants and water soluble ingredients up to the same temperature as your oils/butters before combining them together. *At least two-three, 4oz wide mouthed, containers or low profile tins to store finished product. You will have more than you expect at completion, once your sugar is finally added. *Bowl of ice for cooling mixture while blending, before adding sugar. Vegan version: Substitute the Lanolin oil for Soaper's Supplies Perilla oil. *15 grams Soapers Supplies Lemon Butter, (or) Coffee Butter, (or) Tangerine Butter if you are making an unscented hand scrub, you may want to use Soaper's Supplies Refined Shea Butter, softened. *20 grams Soaper's Supplies BTMS Emulsifier -helps the scrub rinse away clean while providing a bond between your oils and humectants. *20 grams Soaper's Supplies Cocamidopropyl Betaine You will add this last by hand, but before sugar. * 1 gram Soaper's Supplies Essential Oils added before mixing in sugar. If making the Citrus hand scrub use a complimenting Soaper's Supplies Essential Oil such as, Tangerine EO, Lemon EO, Lime EO, Orange EO, or Grapefruit EO. If making the Coffee hand scrub use Soaper's Supplies Coffee Essential Oil to compliment the S.S. Coffee Butter. If making an unscented hand scrub omit the essential oils and substitute your scented butter for unscented, refined Shea butter. *One Pound of granulated Sugar -You most likely will not need this entire pound but you will add this to your formulation, mixing well, until the desired texture and thickness is achieved. Mix your Water soluble ingredients and humectants in a bowl. Warm in a double boiler or water-bath. Add BTMS, Cetyl Alcohol to another double boiler or heat safe bowl in water bath, and heat till almost dissolved, then add your butter of choice mixing with stick blender. Add liquid oil to melted butters over heat, continuing to mix till everything is completely melted, and well mixed. Humectant mixture should be the same temperature as oil mixture (approx 158 degrees). Add humectant mixture to Oil/butter mixture and blend well with stick blender. Remove from heat and continue to blend. Mixture will appear thin. You cannot add sugar until mixture has cooled and thickened to a creamy consistency. It will MELT if added too soon! Cooling can be expedited by putting mixing bowl in the bowl of ice. Mix with stick blender until mixture looks completely emulsified and uniform in texture... oil should not be separating or shining on top. Once mixture has cooled to a creamy-looking consistency, add your Dimethicone, Vitamin E -Antioxidant, Preservative, and any essential oils. Then hand mix your Coco-betaine into mixture. A drop or two of liquid colorant can be added at this time if desired. Lake colorants work wonderfully for this. Mix in sugar by hand... mixing thoroughly to avoid any oil separation. If any oil does float to top of finished product you can add more sugar and mix well till proper texture is reached. Scoop into one 8oz, or two-three 4oz, wide-mouthed containers or low-profile tins. Label according to the laws of your area. You have now successfully made a scrumptious hand scrub! Do not get water into scrub and advise customers with proper labeling, to take out the amount of scrub they need with a dry hand, avoiding contamination from wet fingers. Then apply product to moistened skin of other hand, using water sparingly. Massage hands with scrub till sugar dissolves and then rinse clean. Do not store in shower, or areas where water may get into product. The preservative is a safeguard, added to help prevent microbial growth in existing product. It does not protect against any contamination from additional water. This is a delightful scrub, to which you can give an appealing scent. It will exfoliate and condition the hands, revealing smoother, more youthful-looking skin. It is a cost effective way to increase your profits and market share, while simultaneously creating a fun and easy product. It can be marketed to gardeners, chefs, moms, dads, and anyone who enjoys a soft, lotion-like feel on freshly washed hands. Thank you for shopping at Soaper's Supplies and for reading RJ's Skincare blog. We welcome your comments, concerns and questions and hope you have enjoyed this installment, including the Soaper's Supplies Renewing Hand Scrub! Let us know what you think of our hand scrub and other hand products that we can create for you using the incredible Soaper's Supplies ingredient list. Disclaimer: Our products, ingredients and posted formulas are not meant to treat, cure or prevent any illness or disease. Our products are not FDA approved for consumption, therefore, we cannot advise anyone to ingest any of the products that we sell. Unless otherwise noted, our products are for adult use only. Any product or formula containing Essential Oils should not be used by children, pregnant or breastfeeding women. We recommend that anyone with any medical conditions consult a medical professional prior to using Essential Oils. 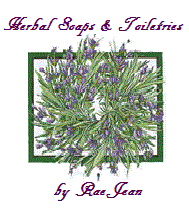 If irritation or discomfort develops while using Essential oils, or any Soapers Supplies products, discontinue use. If irritation persists, seek advice from a medical professional. SoapTip: Any time you have a quick seize while soap making, put your soap, stainless steel pot & all, in the oven at 175 - 200 degrees for 2-3 hours or until the soap is pourable. Stir well & pour into your molds. Advice from Cee: "I’ve found that if you walk away for 5 minutes, when you come back, the batch is going into gel phase and is easy to stir. Also, if you keep some cold water handy, you can prevent a seize by adding in a few ounces to make it stirable enough to quickly pour into a mold."